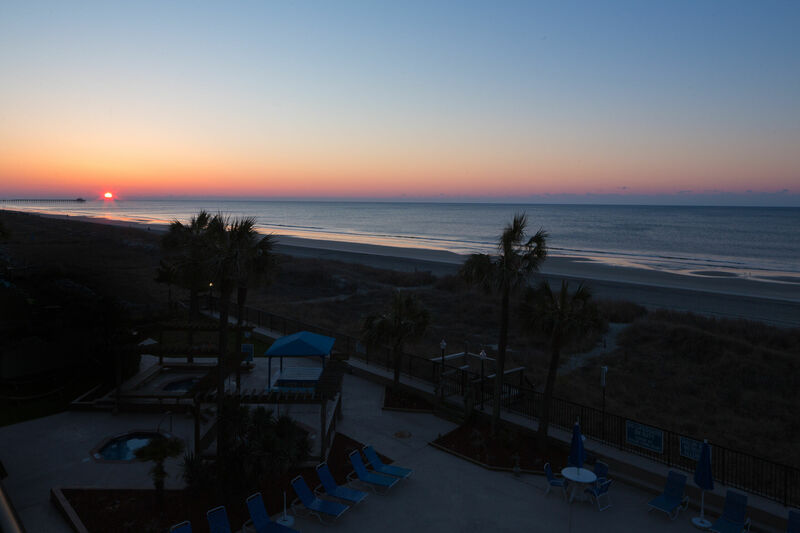 Myrtle Beach, South Carolina is one of the most popular family vacation destinations. With hundreds of activities and attractions and over 60 miles of sand and surf, it is no surprise that it attracts thousands of visitors year after year. This is truly a destination with something for everyone. The area boasts outdoor activities, watersports, dozens of golf courses, outlet shopping, delicious restaurants, and unbeatable nightlife. Located in North Myrtle Beach, the Peppertree Ocean Club is perfect for couples, friends, or families. Studio, one, two and three bedroom oceanfront condo accommodations can sleep anywhere from 2 to 10, and the best part? Myrtle’s famous beaches are just steps from your door. Enjoy this oceanfront property directly from the sand or one the resort’s abundant amenities including: indoor and outdoor pools, fitness facilities, and a picnic area with grills. Just a few minutes down the road, you’ll find the attractions that this area is so well known for.